We’ve all had that moment where we stumble across an amazing local business and wish we had known about it sooner. In light of this we will be doing regular spotlights on local businesses that we think you should know about. This month we paid a visit to Husk Brewery and met founder Chris who showed us around and kindly let us sample some of their beers. Located a short walk from our Royal Wharf office, Husk Brewery is a family-owned, independent brewery who brew and bottle all their beer in-house. Established in 2015, Husk use traditional brewing techniques and quality ingredients, which are locally sourced where possible, to create a range of tasty and unique beers. Husk’s beers go through a secondary fermentation once bottled which helps to bring out the amazing flavours of the different brews. 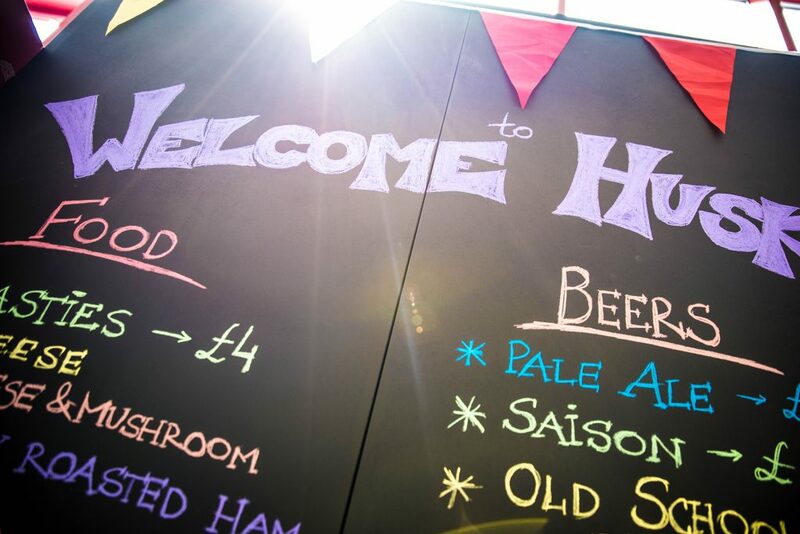 Husk are keen to bring the wider community together and already hold regular open days where people can come together and meet their neighbours over great beer and excellent food which is provided by local chefs. They already supply their beers to restaurants and pubs across London but we are pleased to announce they have just been awarded their licence to sell directly to the public! From the 9th March they will be open on Fridays 4:00 pm–10:30 pm, and 2:00 pm–10:30 pm on Saturdays. So if you live in Royal Wharf or find yourself over by Victoria Docks and fancy trying a Mandarin & Earl Grey IPA, Old School Bitter or a refreshing Pale Ale (to name just a few) then make sure you pay a visit to Husk Brewery.